Alice Rohrwacher's HAPPY AS LAZZARO is an intriguing, if not always successful parable or religious allegory about a holy innocent who lives on an estate unaware that he is being exploited by everyone around him. Saint-like, he takes everyone as they come which leads to complications. Two part tale begins as a kind of rich exploiting the poor tale during which innocent Lazzaro is put upon by everyone around him. He is everyone's friend, despite their having him do all the work. Things go sideways when a prank goes wrong and it is discovered that the Marquise has been keeping the people working for her in a kind of slavery from which they are accidentally released. 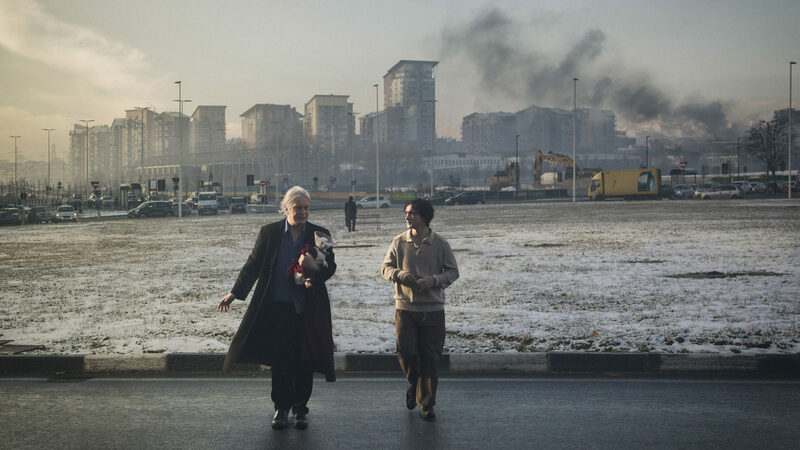 The film then shifts decades into the future when Lazzaro returns unchanged and encounters those he left behind living on the edge of society. It is here that we get into the religious parable at it's heart. A full confession I didn't realize who Alice Rohrwacher was. I thought she was a different director, having completely forgotten that she directed CORPO CELESTE, a film a despise so much I've refused to see any of her films ever after. Had I known that I would have skipped the film...thus missing an intriguing little film, and one of the few Main Slate films at the New York Film Festival that belongs on there. 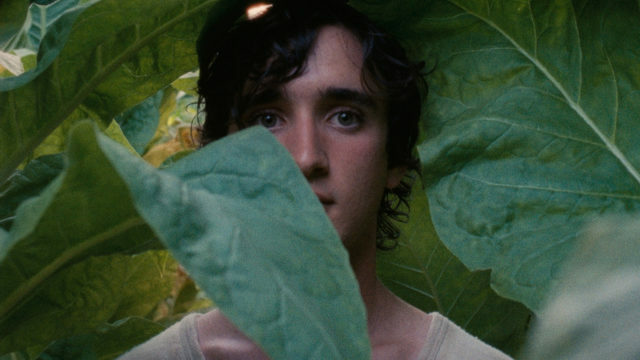 A sly and rambling tale, HAPPY AS LAZZARO is not perfect. The pastoral Marxist first half of the film is intriguing with it's view of the dynamics of society. As good as it is it kind of runs out of steam because there is a point where the story has no where to go, something happens to the title character and the film begins to go odd when the police arrive and find out that everyone has been kept as a kind of slave. What do? Rohrwacher jumps ahead thirty or so years and turns everything into a holy innocent or holy idiot tale as Lazzaro shows up unchanged in a world even more dark and cynical than before. Its a direction change that some how works and makes us sit up and take notice. While it holds our attention and makes us ponder the mystical, I'm not entirely sure it adds up to much largely because the final scene is another out of left field turn that seems to exist simply to give the film the ending Rohrwacher wanted or needed when the running time had come. While I know that has to be the ending for the parable to align with the tales of the saints, it's placement feels random and out of place. As a result I don't know what I feel about the film. Reservations aside I do recommend the film as something that will make you ponder a great deal more than your navel.